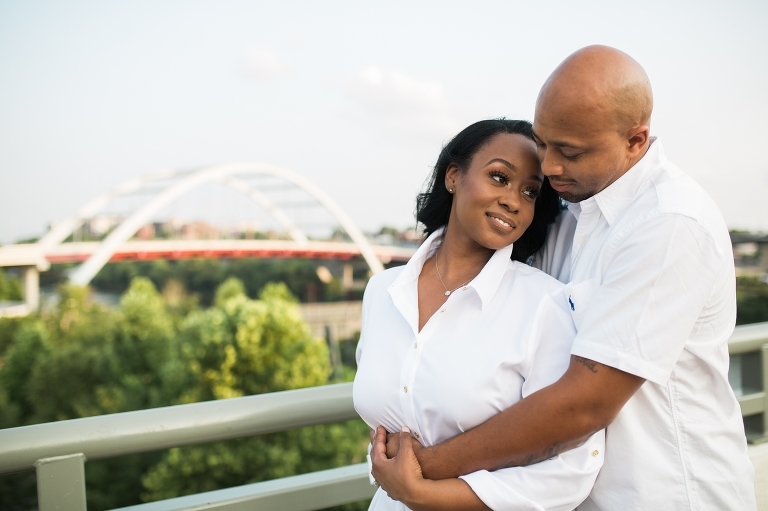 Khabra and Jason’s downtown engagement on the bridge session in Nashville just set a new bar! 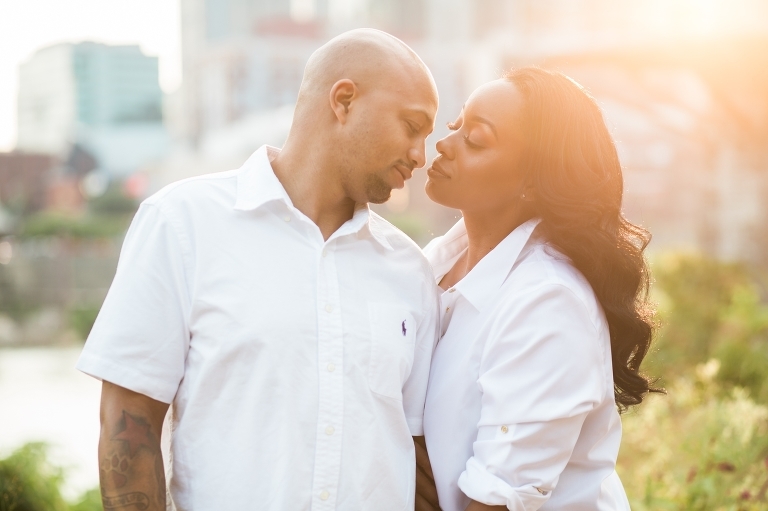 Khabra, an aesthetician, and her fiance, Jason, are planning a fabulous Nashville wedding in November. When she contacted me to set up this session we realized she needed the photos quickly for save-the-date cards! We met at the base of the bridge and the day rewarded us with ideal light, just a touch of breeze, and relatively low crowds. I was psyched! Khabra is a stunning young woman, with smiling eyes, a heart of gold and the sweetest personality. Jason is her rock, quiet and easygoing –and these two were such a dream to work with. We moved around many different areas because the bridge and nearby park offer so many great backdrops! Here’s a funny story, though. Each time we moved to a different spot, Khabra kept asking me if I had “gotten a good one?” I finally realized she thought we were not getting anything good, which is why we kept shifting around! When I figured this out I just laughed and said, “Are you kidding? They are ALL good!! These two literally can NOT take a bad photo together, and the entire session was a pleasure from beginning to end. The light that day was bright and beautiful — my favorite conditions to create light, airy, joyful images. I’ve shot several sessions at the Pedestrian Bridge, such as Brittany and Chris’s engagement session last spring. But every shoot is still different! During every session I make sure to find new, unexplored territory to keep every client’s images looking fresh and unique! If you look hard enough, there are always fresh angles and ideas. As I look back on these images now, the gorgeous light, their beautiful smiles, and the love in their eyes just makes my heart melt. I can’t wait to deliver their final gallery very soon. The next time we meet will be at their beautiful wedding at Fisk Memorial Chapel and a reception to follow at the Frist Art Museum. I cannot wait! Although the normal turnaround for an engagement session is around 3-4 weeks (sometimes sooner), I knew Khabra and her mom were anxious to get photos selected for her save-the-date cards! Not to worry! Within 48 hours I had quickly edited a dozen choices for them to get their order going, because I knew this was important to them. So if you are ever in need, don’t hesitate to ask, because I will do my utmost to deliver!